Oh he'll have the Last Laugh all right! 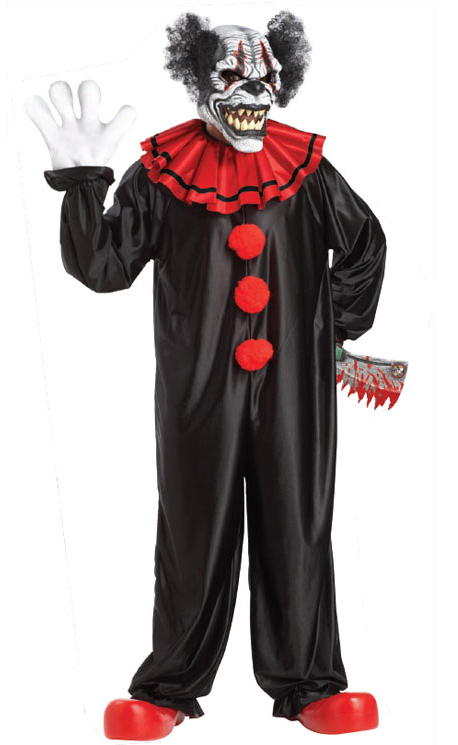 This adult clown costumes features an ani-motion mask which has a mouth that opens and closes with your own, jumpsuit, collar, and gloves (weapon shoes not included). One size fits most adults. 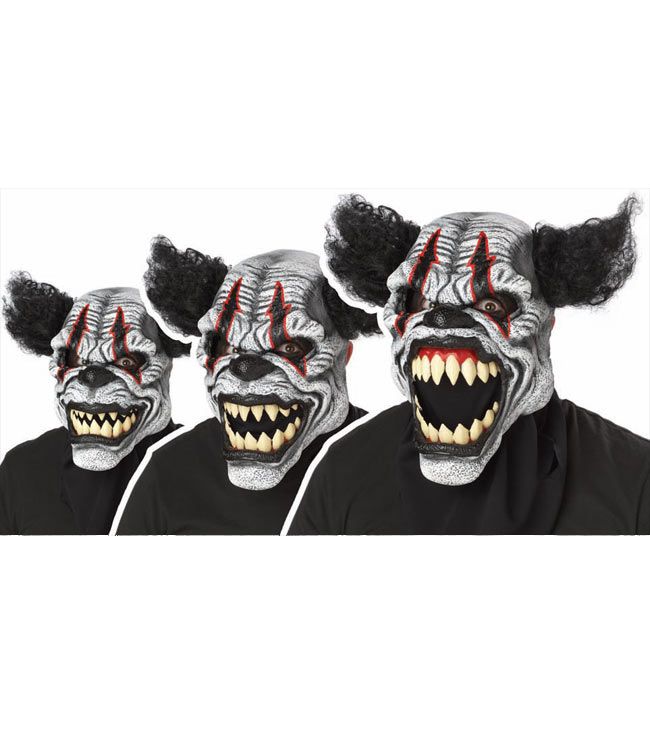 Please see additional images that show the mask's movement.